If you have recognized red flag signs of a troubled teen in your son or daughter, addressing the root cause behind her or her troubles is vital. The most important thing you can do for yourself and your troubled teen is to acknowledge what is driving their behavior. Talking to a mental health professional about your child’s struggles is a logical first step. Sometimes, traditional talk therapy is not enough to address more serious issues in troubled teens. 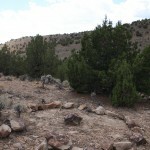 Wilderness therapy is often a more comprehensive form of intervention and has a number of unique features compared to other types of programs for troubled teens. When combined with proven therapeutic methodologies, the benefits are quantifiably more dramatic than traditional talk therapy alone. Wilderness therapy is not a “one size fits all” approach to helping your teen. Any credible wilderness therapy program will provide an individual treatment plan for your child. Finding the best fit for your child will produce better results. 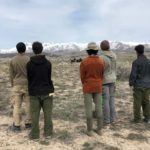 The nomadic model of wilderness therapy is an intensive treatment program in which the group remains self-sufficient, works toward group accomplishments, and in which the student will be responsible for transporting his/her own equipment in a backpack. Lower-impact physically than adventure-based therapy, students in this treatment model often spend 60 to 90 days in the wilderness, hiking and learning to build their own shelters and tools for day-to-day living. Healthy physical and behavioral habits are established as students are put on a nutritious diet and engage in daily physical activity. Because students’ sleep schedule is naturally set by the sun in nomadic models, it is common for their circadian rhythms to realign; providing enormous emotional and psychological benefit. Healthy physical and behavioral habits are established and developed away from the distractions of the outside world, and these skills are carried home at the end of treatment. Teens learn self-sufficiency and the impact of natural consequences in a safe, therapeutic environment. This intentional detox from day to day life provides the clinical team on site with a rare window to provide innovative and comprehensive assessment of the individual. Teens learn self-sufficiency, accountability, and the impact of natural consequences in a safe, therapeutic environment. 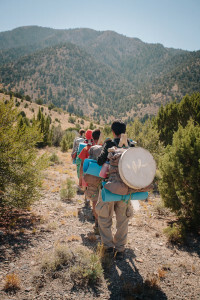 Students are taught how to transfer the skills learned in wilderness to their home environment throughout the course of treatment. 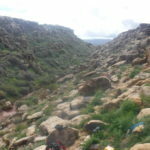 Nomadic wilderness therapy provides a powerful therapeutic experience. As the parent of a troubled teen, you know your child’s limitations, abilities, and inner desires. Search your heart and decide whether wilderness therapy will be the best fit to help your child get back on track in life.